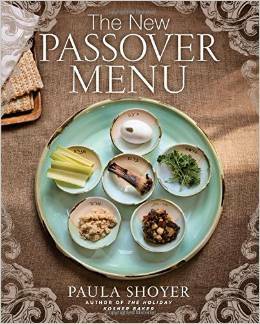 Passover is a celebration of freedom�and Paula Shoyer's innovative Passover collection celebrates culinary freedom, while still honoring the holiday's dietary rules. Her dishes will set you free, combining all the nostalgic pleasure of family favorites with 65 contemporary creations sure to please a new generation of creative cooks. Covering both seder nights and all eight days of the holiday, Shoyer redefines Passover dining with an updated and global menu that includes Banana Charoset, Peruvian Roast Chicken with Salsa Verde, Moroccan Spiced Short Ribs, Sweet Potato Tzimmis, Eggplant Parmesan, and Frittata with Broccoli and Leeks. And don't forget the desserts (many gluten-free) that are Shoyer's speciality, including Triple Chocolate Biscotti, Opera Cake, and Pear Frangipane Tarts. To streamline your planning, there are eight full menus to use as is or to mix and match, along with suggestions for other meals. Passover has never been so easy or delicious! Spring is coming and that means Easter is on its way! This year, give the gift of PAPRYUS to all your favorite Easter Bunnies! From cards, wrap, paper and gifts, there is something for everyone on your list this year. With more than 200 stores in the US and Canada there is a location near you, as well as www.papyrusonline.com. 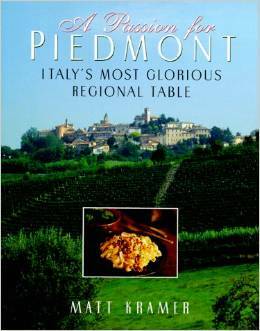 Travel to this wonderful northern Italian region with author Matt Kramer in his book, A Passion For Piedmont. Overflowing with a phlethora of recipes, anecdotes and descriptions of people and geography, its pages will enchant, make you smile and have you heading for the kitchen. Featuring more than 150 recipes, gathered from his experience while living there, this volume will soon have you making pasta, risotto, and polenta like a Piedmontese mamma! And as Kramer is also a wine expert, there's no lack of suggestions for accompanying local wines. Recipes are easy and can be recreated at home.